Place the veal, harissa, salt, parsley, pecorino, rosemary and egg in a large bowl and mix well to combine. Roll tablespoons of the mixture into balls. Heat the oil in a large, shallow heavy-based saucepan. Cook the meatballs for 3–4 minutes or until golden brown. Add the tomato and sugar and cook, covered, for 9–10 minutes or until the meatballs are just cooked. 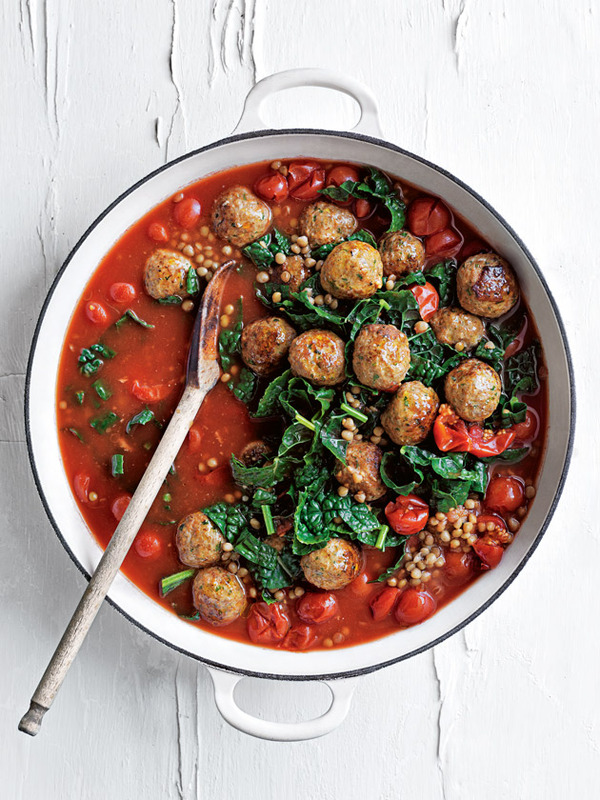 Add the lentils and cavolo nero, sprinkle with salt and cook for 1–2 minutes or until warmed through. Divide between bowls to serve. Serves 4.